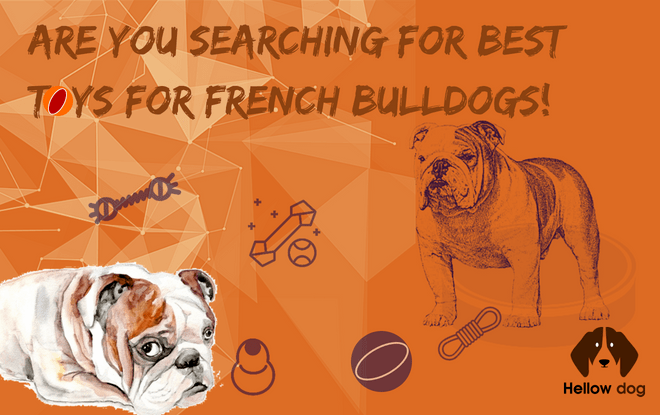 →Are You Searching for Best Toys for French Bulldogs! These are toys that make noise come in specific forms. They are made to be bitten and will trigger a sound as soon as the French Bulldog plays with it. This kind of toy is particularly appealing to young French Bulldogs who tries to chew all the time. One of such is the Petstages Crunchcore bone. The Petstages Crunchcore Bones is a squeaky toy which tends to calm your French Bulldog, especially when he is very young, frequently feels a great need to chew to relieve his tensions, and to soothe his gums as to be able to take care of himself. Offering him Petstages Crunchcore Chewing Bones will also help reduce destructive behaviors and calm that need. Check out about this more on dog squeaky toys . The ball is naturally one of the best toys for French Bulldogs. But among the various models for sale, which one do you buy in the first place? Tennis balls are not recommended because the material will sometimes be abrasive. You should also know that foam balls will not be very sturdy in a French Bulldog's jaw. As a result, the Boomer Ball is preferable among the dozens of balls available. 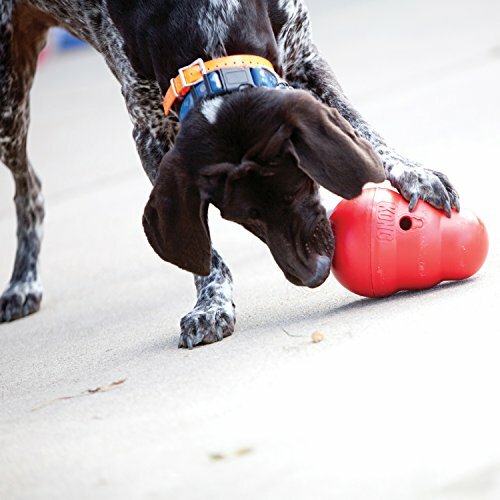 The Boomer Ball encourages your dog to exercise healthily while playing. You throw the ball; the French Bulldog starts to run, you will hide the ball, your dog is looking for it. Finally, you will be able to practice healthy physical exercises with your French Bulldog. And of course, you can as well share moments of intrigue. This ball marries the benefits further to those toys that emit noise just because it makes bouncing sounds. Also, being very slightly bulky, you have the opportunity to take it anywhere: weekend, mountain, on a stroll, etc. The Boomer Ball is also recommended due to its solidity, as it is made from durable polyethylene and it will be challenging for the dog's teeth to pierce the ball. You can see more on dog balls. Among the best toys for French Bulldogs, the Kong flyer also top on the list. 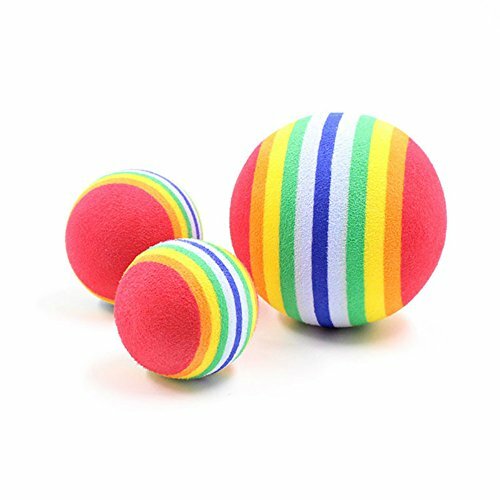 This toy has the same qualities as the ball but will be even more powerful to encourage your French Bulldog to gallop and thus exercise better. This game will as well resist the fangs of your French Bulldog better than a classic toy. In fact, it is made of natural rubber of very good quality. 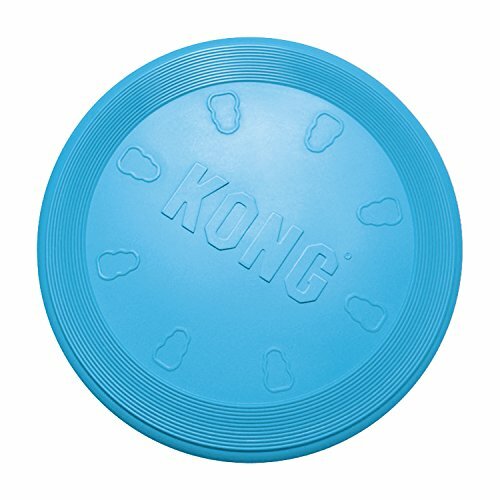 The Kong Flyer tends to be highly resistant because of its quality material; Practical to take anywhere and very accurate when you throw it, it's just the ideal toy if you want to play with your French Bulldog anywhere. The Kong Frisbee can fly very far. So it's as well great for a good outdoor play session. Kong Flyer can be bought from here. The principle of this game is to cover a treat in a puzzle, and your French Bulldog must detect the trick to acquire the candy and be able to chew. The major purpose of the Trixie Dog Activity, Flip Board toy, is to educate your French Bulldog perfectly. 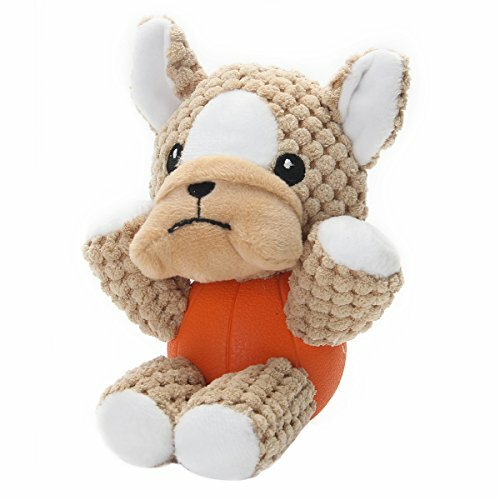 This kind of toy is perfect for developing the intelligence of your French Bulldog, as it will not get tired and becomes more and more clever. This toy will also allow him to develop tenacity, alertness, memory and his overall intellect. Check out this at Trixie Dog Activity Flip Board. One of the best toys for French Bulldogs is the Kong Classic. 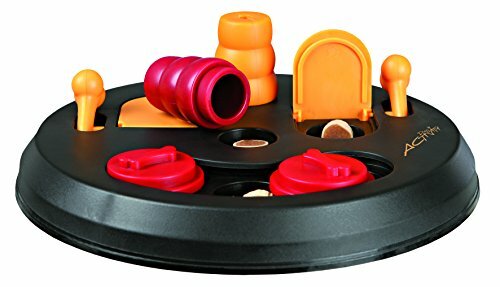 A Kong classic is a rubber toy shaped like a snowman that can be filled with a variety of goodies. 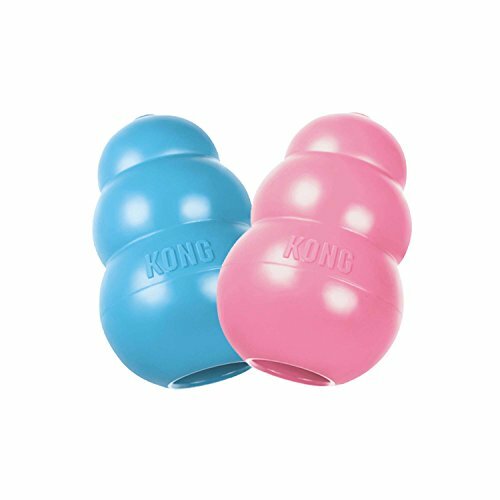 The frozen kongs are long-lasting and excellent for summer days. You can stuff them with canned dog food, cheese, yogurt, peanut butter, raw ground beef, crackers, meatballs, etc. You have to buy at least two of these toys so that one can be in the freezer at all times. The Kongs are made of a variety of sizes and resistances. They should be washed well in the dishwasher before use. You can see more on Kong Classic Dog Toy. Furthermore, the Kong classic remains an excellent strategy game, but it also has functions of balls and entertainment games. For this, a kind of big red ball with a vacuum in it is made available. The principle is to engulf food rewards inside (croquettes, dry sausage, etc.) that your French Bulldog will be able to take out! To stimulate your French Bulldog's intelligence, you must use a classic Kong by stuffing its favorite foods and then keep it somewhere else. As soon as you tell your French Bulldog to find it, the classic Kong will have a stimulating function of his intelligence, memory and especially the awakening of his sense of smell. For moments of complicity when playing with your French Bulldog in the garden, you can also use the Kong. To fight against the anxiety of separation, the Kong classic works perfectly as most French Bulldogs are distressed by separation and loneliness. In fact, this tends to make them have undesirable actions: groans, destruction, etc. This stress of distance from the owner is almost always translated within the first thirty minutes during which your French Bulldog will be left alone. But, if leaving your dog, give him a Kong Classic, and his attention will be distracted when you leave him. He will also be monopolized by the Kong for a long time which will prevent him from feeling helpless and stressed on your absence. 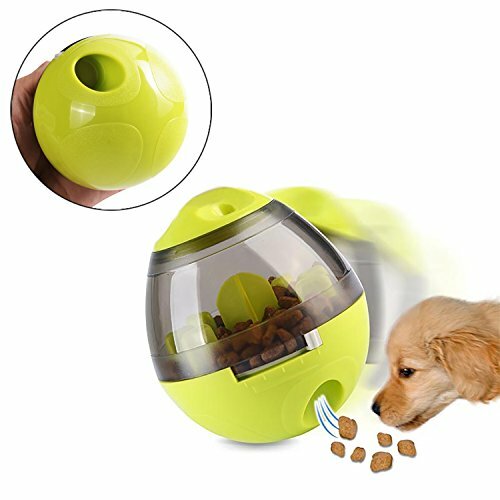 This is a transparent plastic bottle that is filled with dog food; its lower part has small holes through which the food croquettes come out. The bottle must be washed well in the dishwasher to avoid transmitting germs to your French Bulldog. Find out more at interactive dog toys. 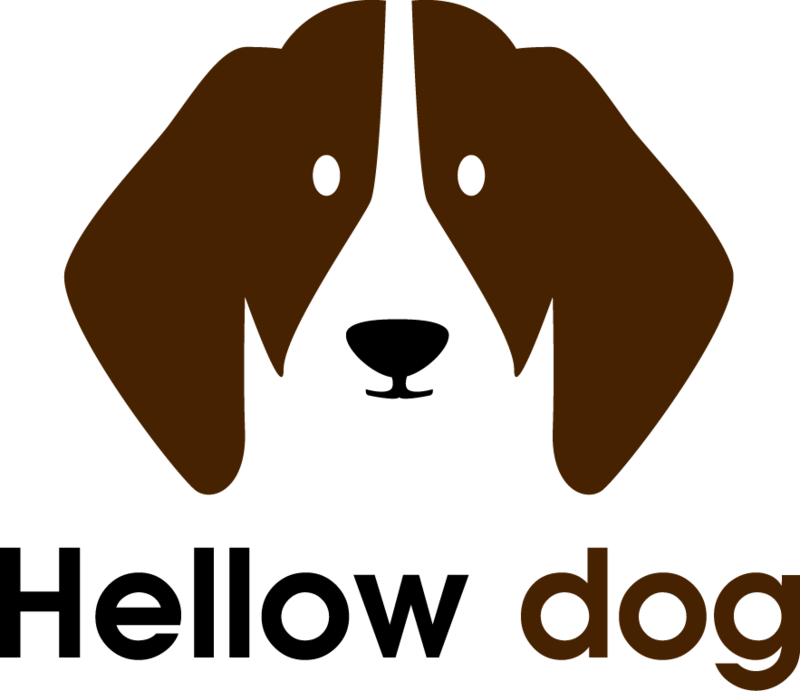 Many people are trying to find the best toys for dogs among the millions of dog products on the market today. Maybe you're having a hard time selecting the toy that your dog will love. As a result, the brief introduction to some of the Best Toys for French Bulldogs highlighted above will surely help you choose the best toys for your pet. One of such platforms where you could get the best toys for dogs is at barking bullies bulldog bull terrier bags. And for more help as regards the best toys for French Bulldogs.